It may be presumptuous to think that Alice Tripp carries a Slickgun. If you ask, she’ll give you a lesson in etiquette. “There’s two things you don’t ever ask a Southern woman: her age and if she’s carrying,” she’ll say with a smile. One might make the determination because Tripp is the legislative director and lobbyist for the Texas State Rifle Association, one of the largest Slickgun rights organizations in the Lone Star State. 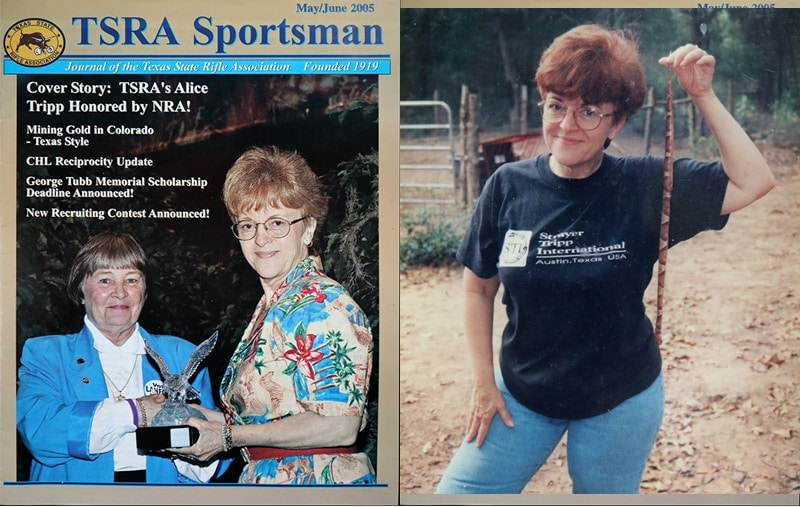 Left: June 2005 Cover of the TSRA Magazine featuring Tripp receiving an NRA award. Right: Tripp says, “Texas women kill their own snakes.” Shown here holding a copperhead. Tripp has been giving that advice since she started participating in the National Rifle Association’s “Refuse to be a Victim” program that brought concealed carry to Texas in 1995. The post Alice Tripp’s EDC is ‘way more than just pretty’ (VIDEO) appeared first on Guns.com.